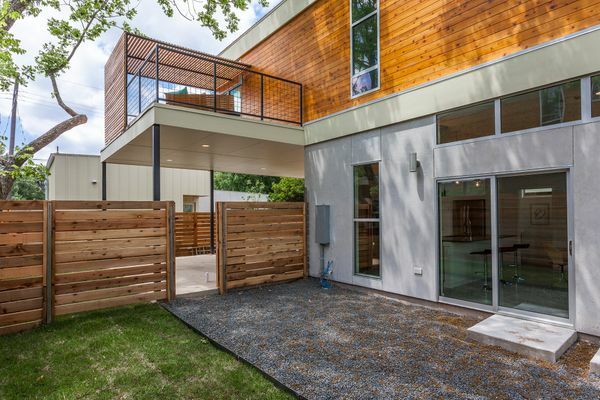 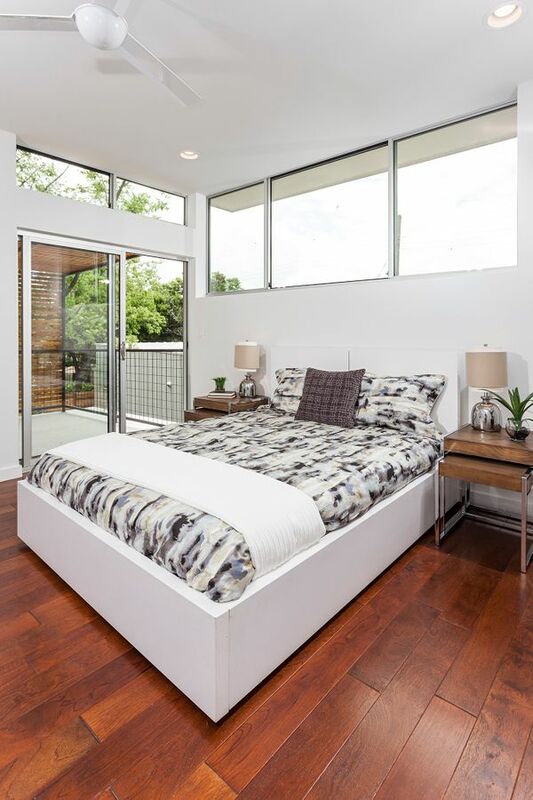 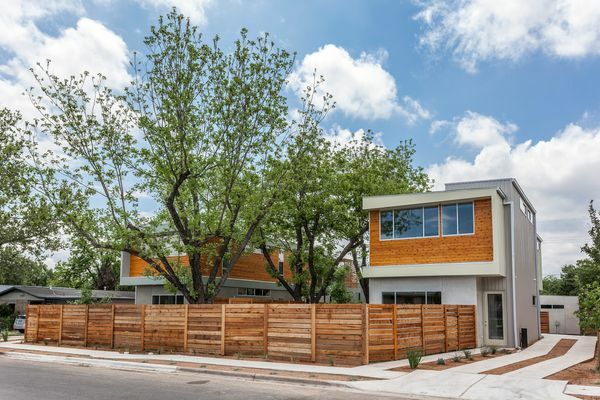 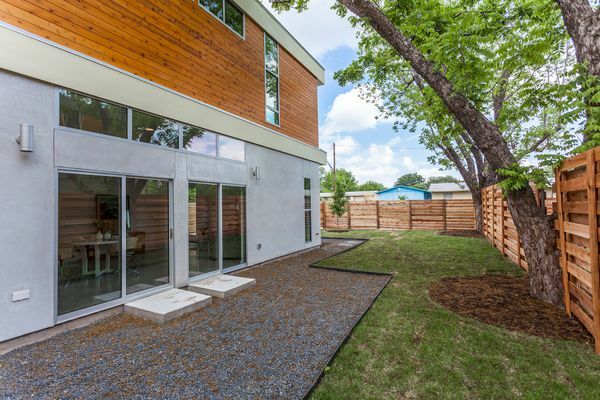 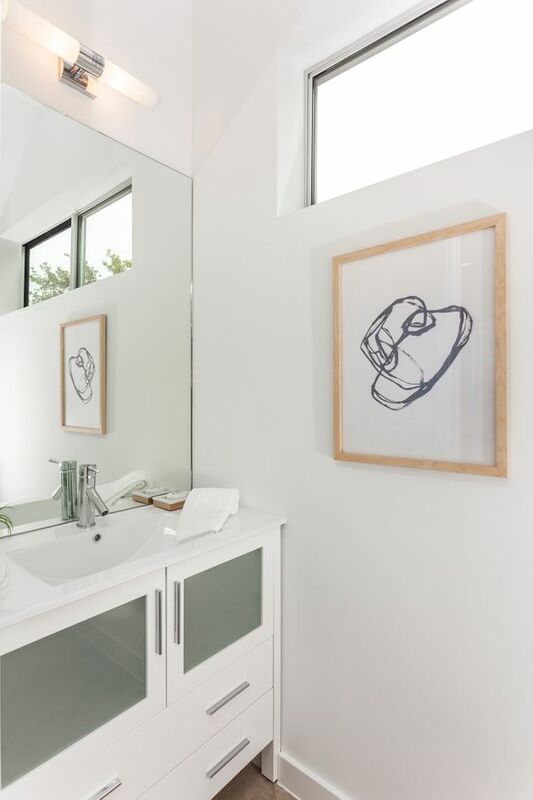 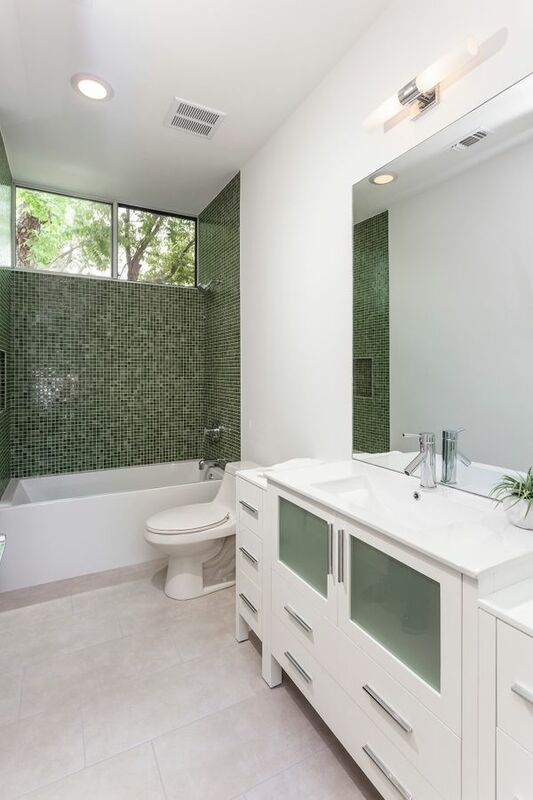 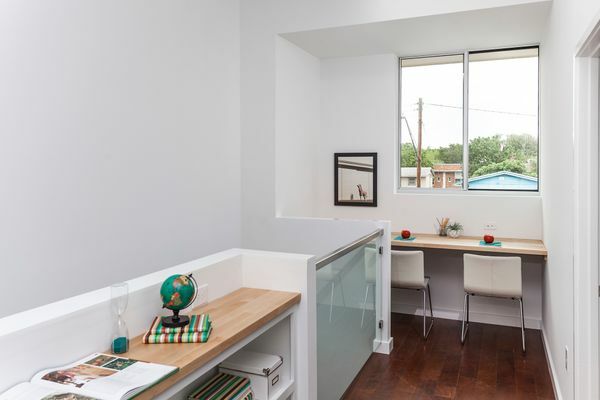 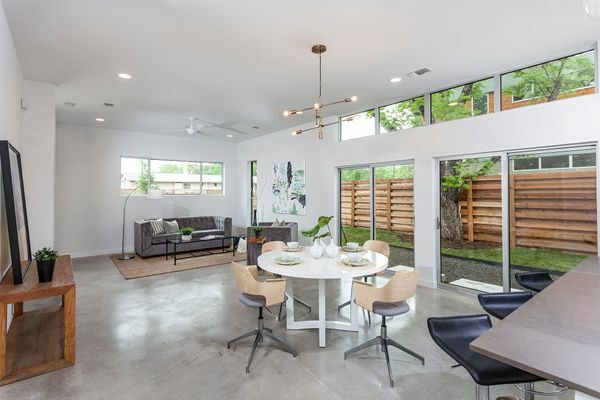 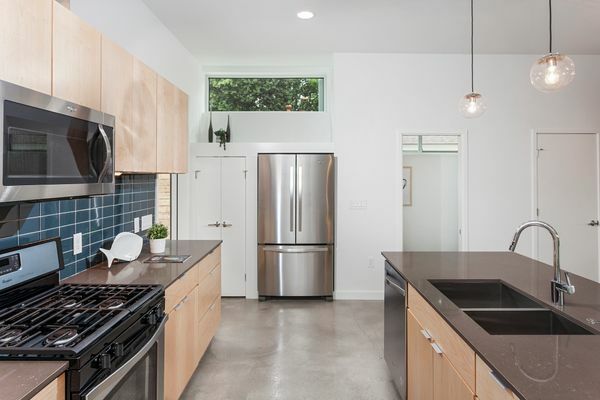 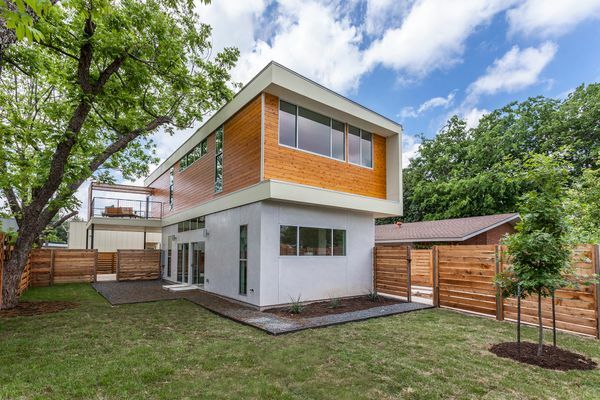 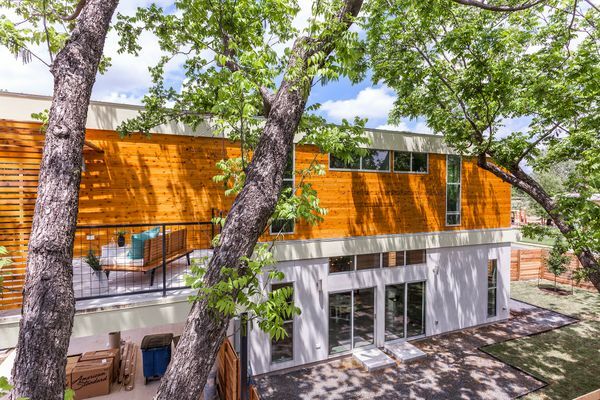 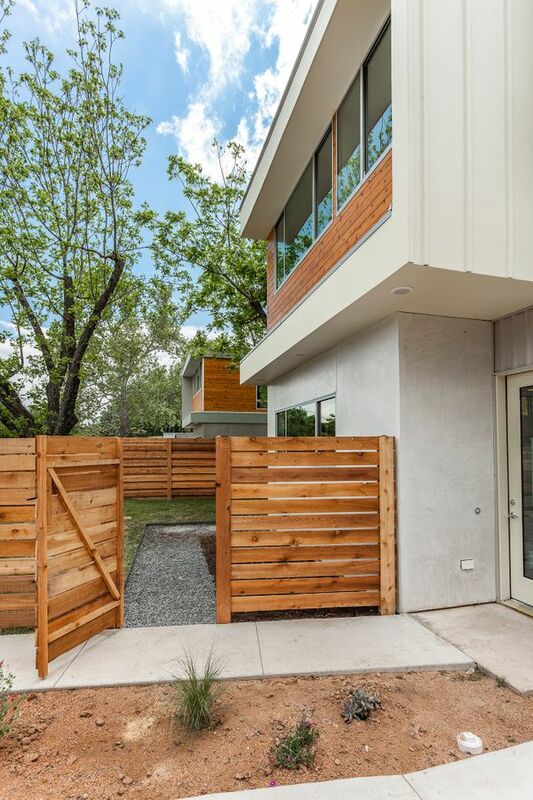 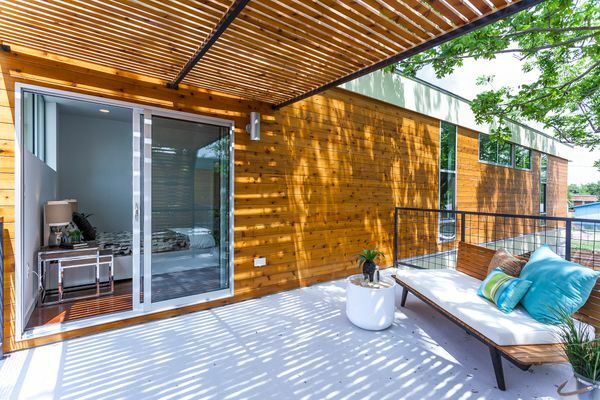 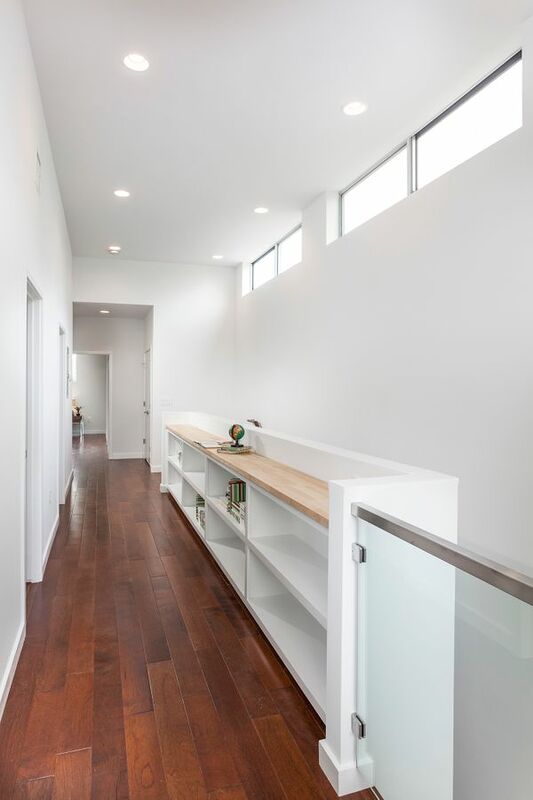 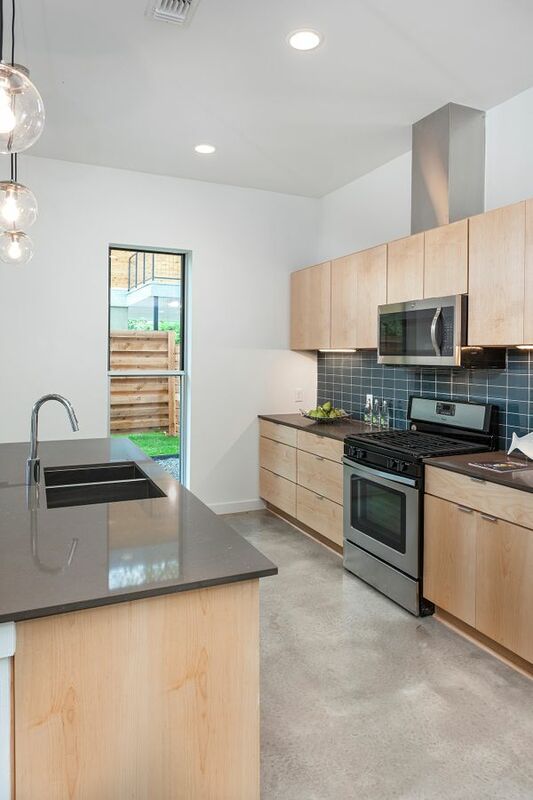 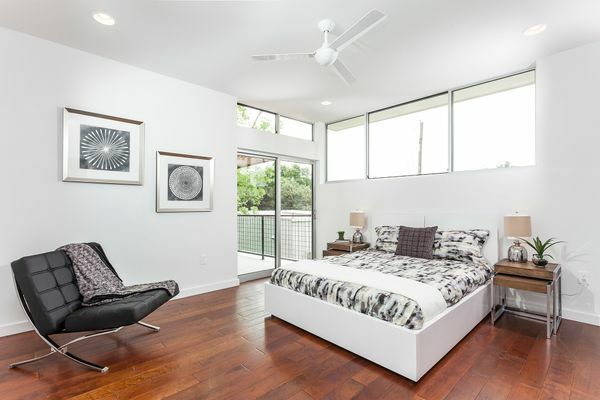 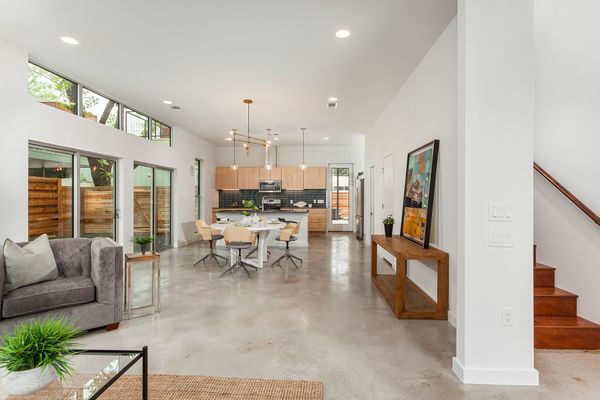 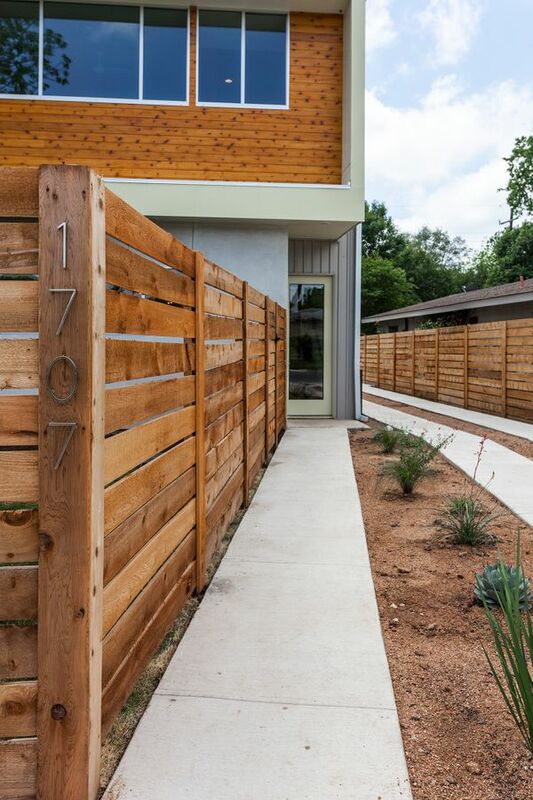 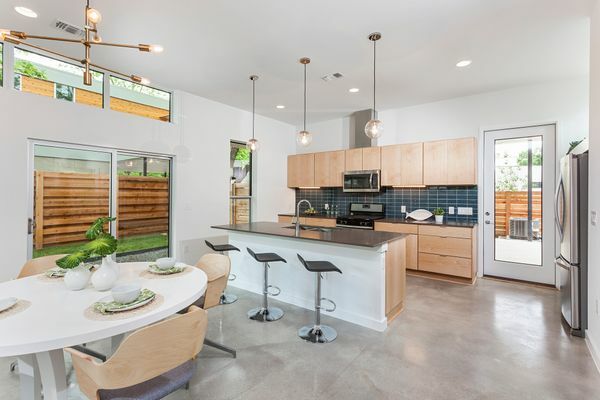 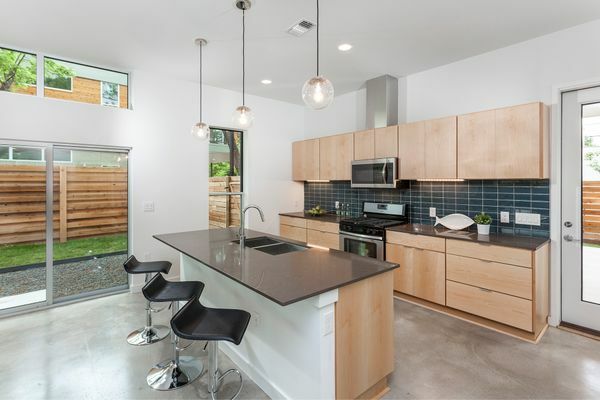 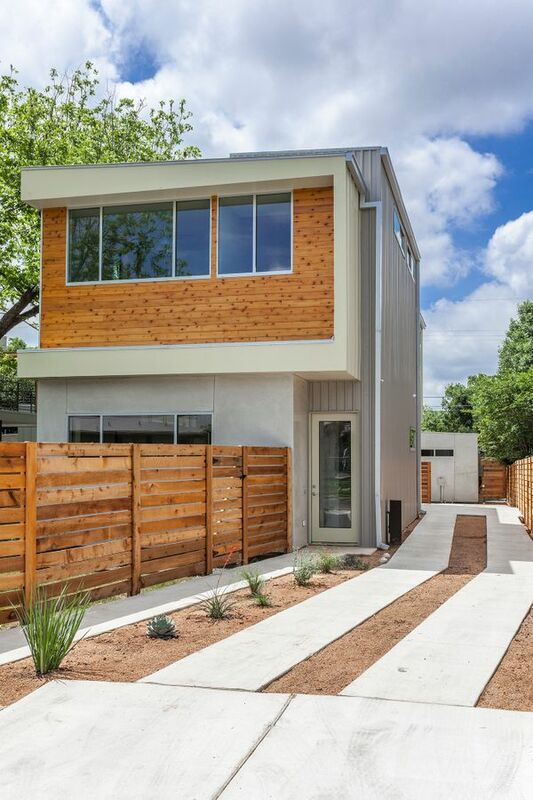 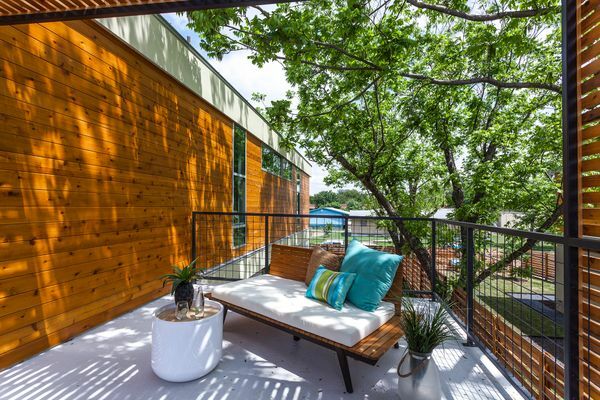 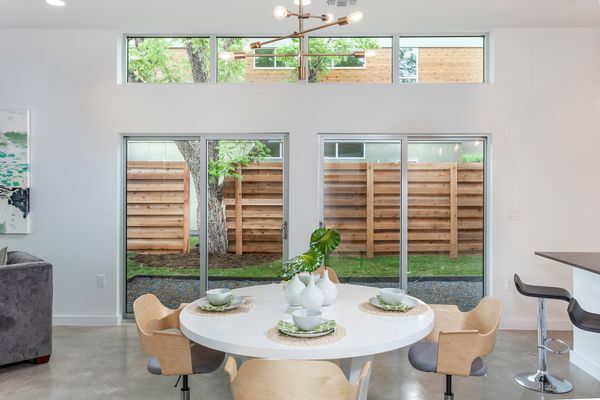 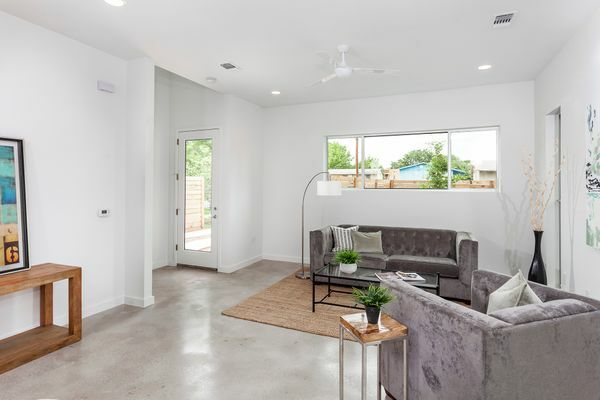 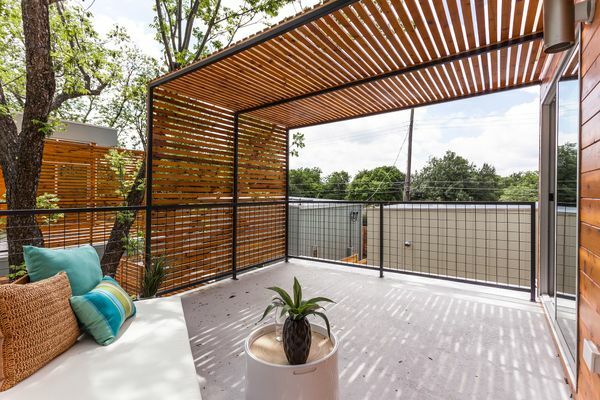 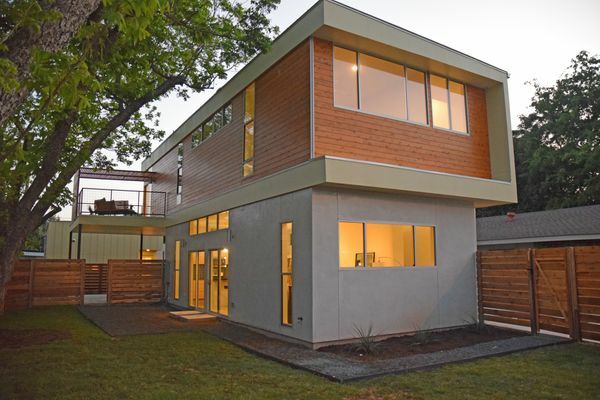 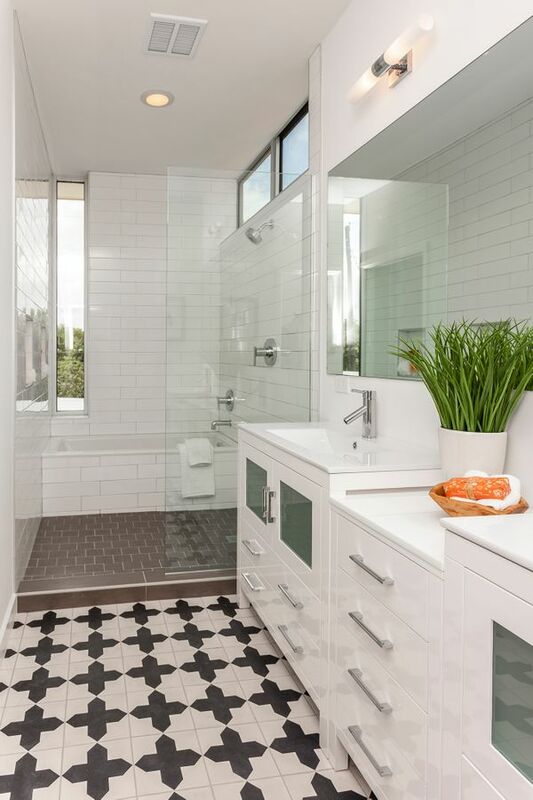 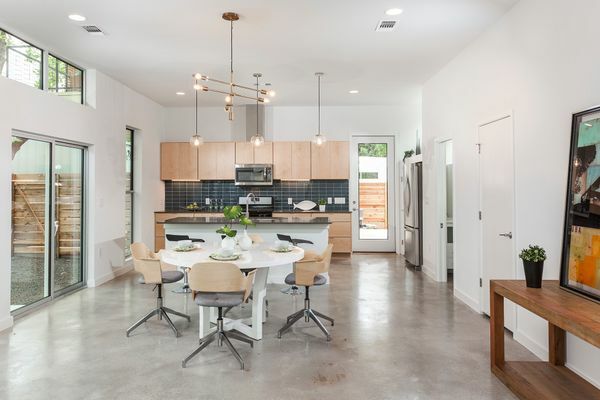 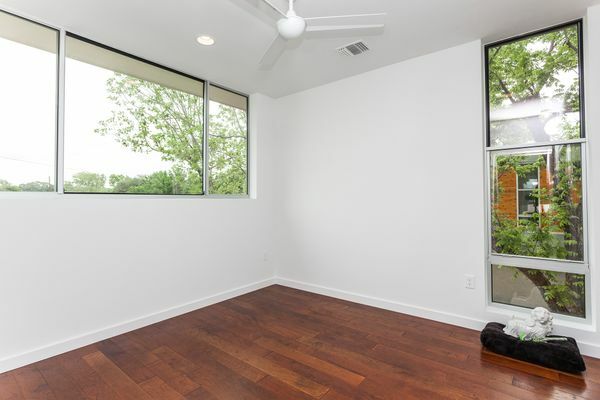 1707 Brentwood #A is a modern home, by KRDB, in the vintage Crestview neighborhood. 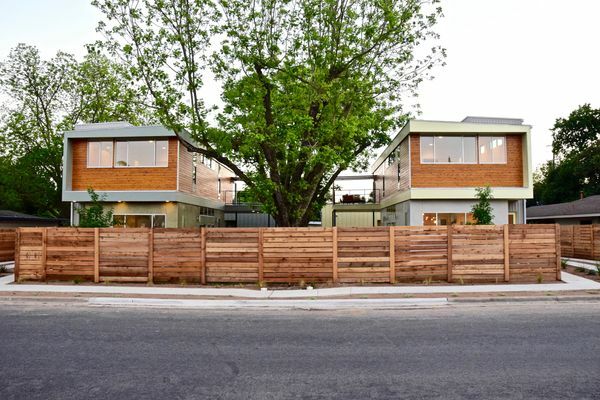 Nestled amongst charming bungalows and ranch-style homes on tree-lined streets. 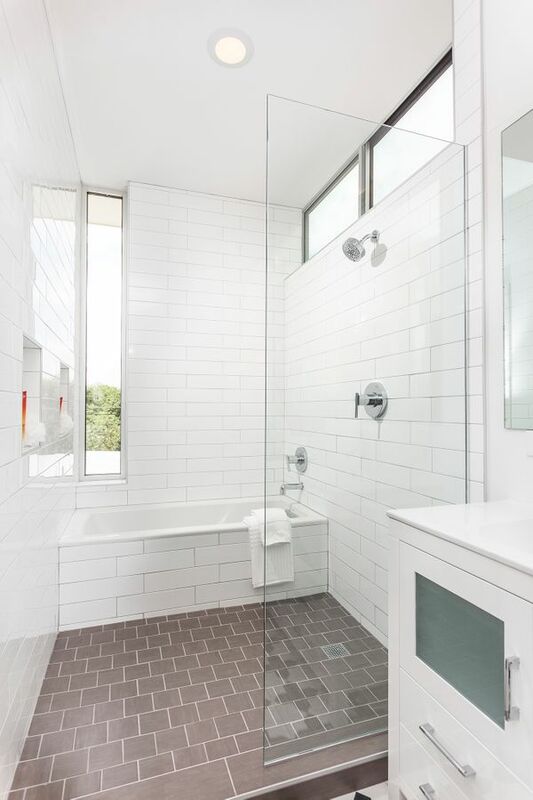 Simplicity and comfort at its best. 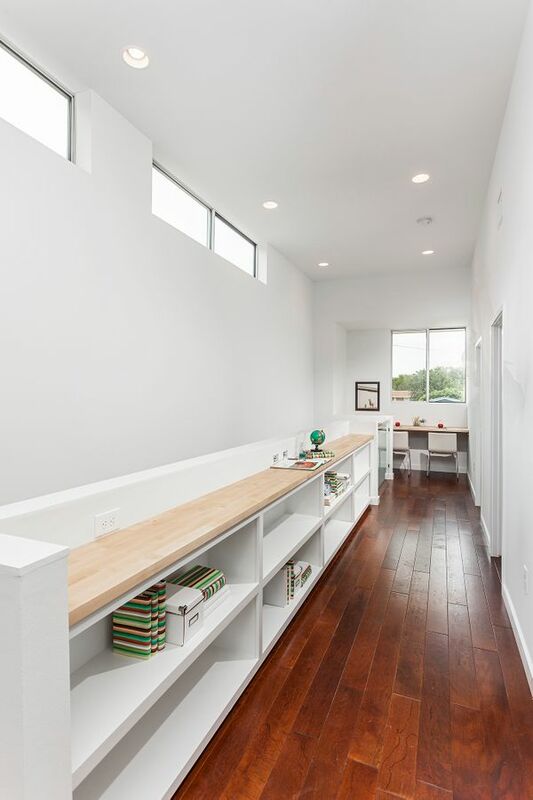 Bright open two-story floorplan. 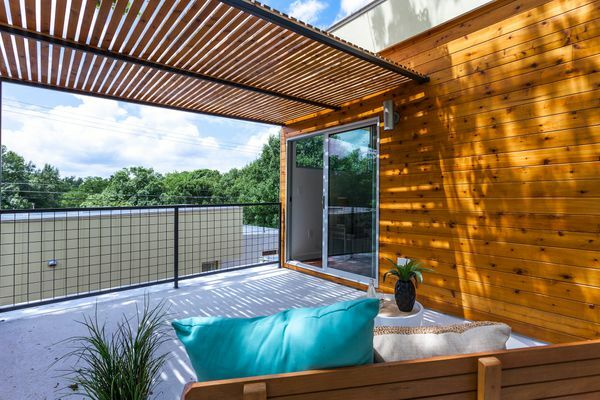 Cedar pergola shades balcony patio, extending master suite. 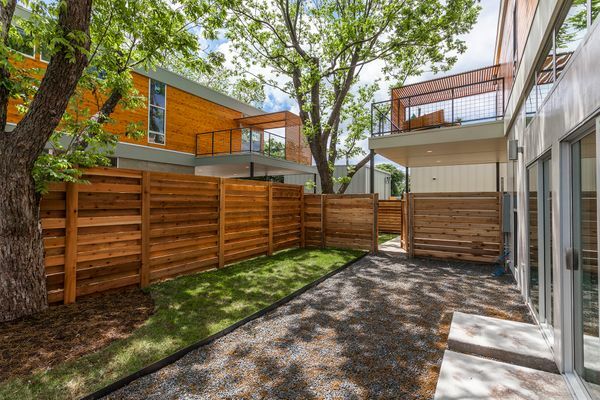 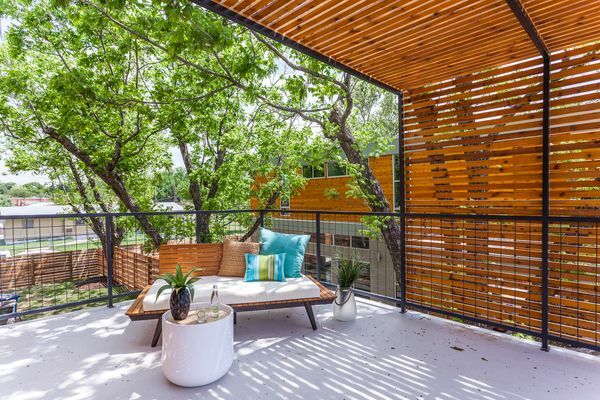 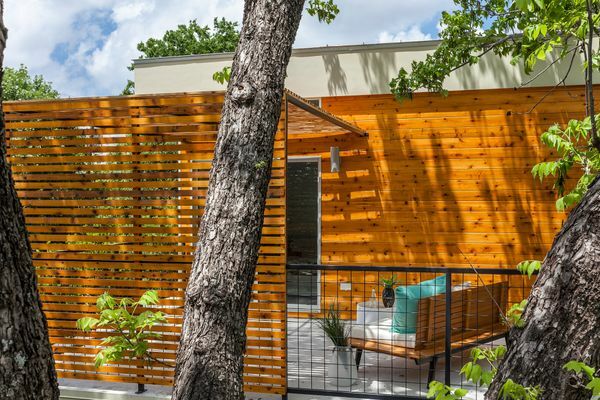 Fenced yard affords privacy and expands the flexible living area.